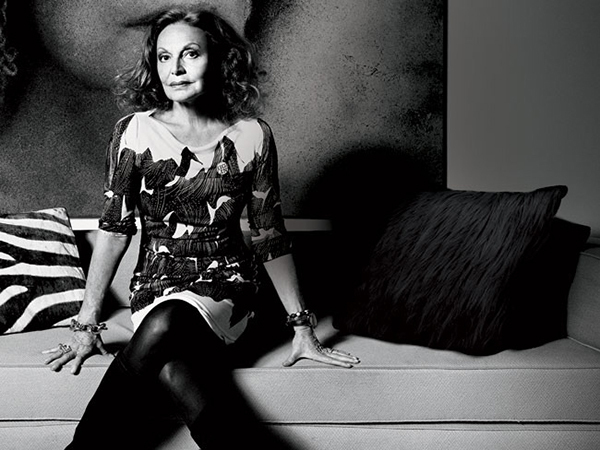 Diane von Furstenberg made news this week, announcing new academic degrees in fashion law at Fordham University. It was more than news, though, for many in the field of fashion. For far too long, the field of fashion has seen corruption and many young designers have felt the pain of being taken advantage of, as poor deals are struck and unfair, binding contracts signed. As the president of the Council of Fashion Designers of America, von Furstenberg has seen first hand the need by fashion designers for legal council. Many have lost their designs, businesses, and even the ability to use their own names as result of misguided deals. Uniting the world of fashion and law means opening up the first fashion focused master's degree plans, honing in on the needs of those in the field, such as intellectually property rights, employment laws, and so on. "You can't apply law to fashion until you understand the business of fashion." Said Susan Scafidi, founder and academic director of the Fashion Law Institute, in explanation of the need for expansion of this particular field of law. Read more about the groundbreaking news here.